New Boston Police provided two closed circuit TV photos of the man they believe robbed the New Boston Walmart early Sunday morning. New Boston Police are seeking help in locating a suspect wanted in connection with a robbery at Walmart Sunday. Police said the robbery occured at about 6:50 a.m. Sunday. Officials have given the name of the suspect as Duane R. Irvin, 37, described as a white male around 5’4”, about 140 pounds with brown hair, a full beard and green eyes. He was last seen wearing blue jeans and a fluorescent yellow tee shirt that had the logo of Nolan Lawn Care written on the back. Irvin was last seen driving away from the New Boston Walmart in a blue pickup truck, possibly a Chevrolet S-10. Irvin’s last known address is in Garrison, Ky.
During the incident, Irvin allegedly went to a Walmart checkout line and had the cashier ring up a large amount of merchandise he had in a shopping cart. Once the cashier rang up the items, according to police, the suspect handed the cashier a written note saying he had a gun and would shoot the cashier. Police say the note demanded all the 50 and 100 bills from the cash register. The suspect allegedly threatened to shoot not only the cashier but anyone who attempted to stop him. The cashier did not give any money to the suspect, who police say ran out of the store pushing the shopping cart with merchandise valued at $2,077. The vehicle in which Irvin is said to have fled the scene carried Kentucky license plates. Police offered no details as to how they were able to identify Irvin as the suspect in the incident. New Boston Police did say they now believe Irvin has fled Ohio and gone back to Kentucky where he apparently was living. Anyone who knows the current whereabouts of Irvin is urged to contact their local law enforcement agency or the New Boston Police Department at (740) 456-4109. Police suggest members of the public not approach or make contact with Irvin. NBPD is considering Irvin armed and dangerous and say he appears to be in a desperate state of mind. Portsmouth Municipal Court has issued a felony arrest warrant for Irvin and his name was entered into the National Crime Investigative Center of the Federal Bureau of Investigations as a wanted fugitive. 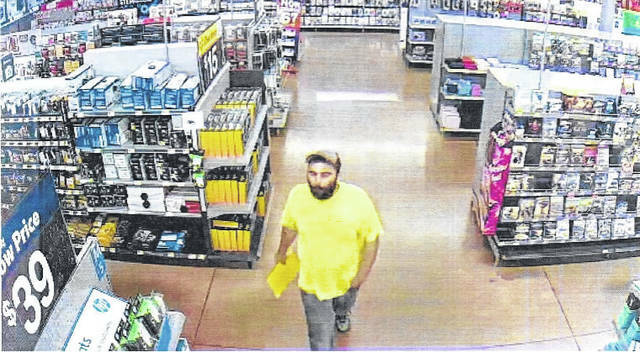 https://www.portsmouth-dailytimes.com/wp-content/uploads/sites/28/2018/08/web1_Capture-2-A.jpgNew Boston Police provided two closed circuit TV photos of the man they believe robbed the New Boston Walmart early Sunday morning. 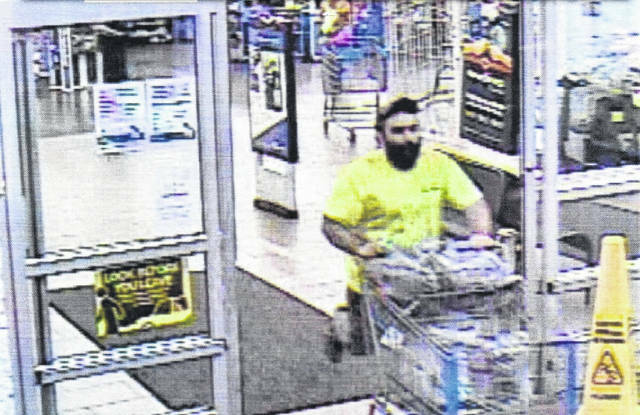 https://www.portsmouth-dailytimes.com/wp-content/uploads/sites/28/2018/08/web1_Capture-1-A.jpgNew Boston Police provided two closed circuit TV photos of the man they believe robbed the New Boston Walmart early Sunday morning.